Track down the First Wyverian in the Ancient Forest to uncover more clues about the New World. The First Wyverians are, as the name suggests, Monster Hunter: World’s first wyverian race in the New World, and as such, hold special significance as well as important information. As part of the main campaign, players are tasked with going on an expedition to find the First Wyverian and glean some critical knowledge about monsters. The quest to find the First Wyverian doesn’t appear on the quest board as an Assigned quest, nor an Optional one, it is an expedition that ends in a fight – so come prepared. 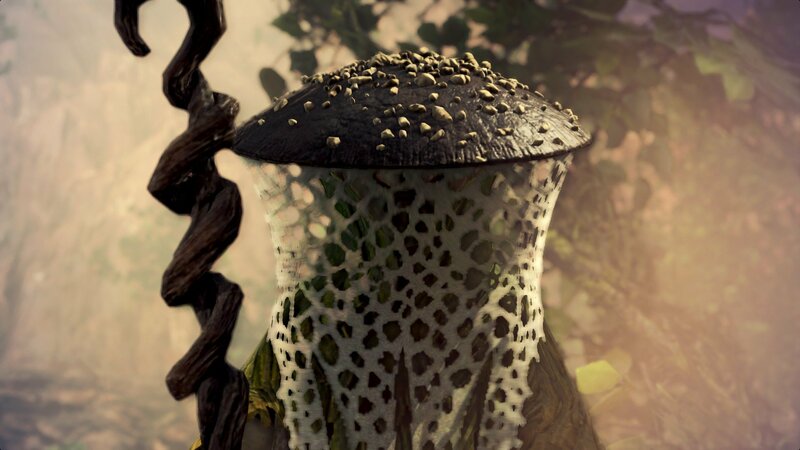 Players looking to locate this character will be directed to head to the Ancient Forest, the first area where players cut their teeth capturing monsters. There are First Wyverian tracks which will lead players to its location. Finding the First Wyverian isn’t straight forward, as there isn’t any immediate marker highlighting its location. In fact, even if players remember where they found it during their time in the forest, they’ll discover it’s moved locations. The First Wyverian is now located at the top of the Ancient Forest, in Section 17. There are actually markings and footprints that will lead players to the First Wyverian, but not before they encounter the monster they will soon need to fight, the Rathalos. Reaching the area where the First Wyverian is located will immediately begin a cutscene, so don't worry about trying to look around for it. After the cinematic ends, players can either continue on and hunt the Rathalos or leave the expedition and attempt the hunt later. 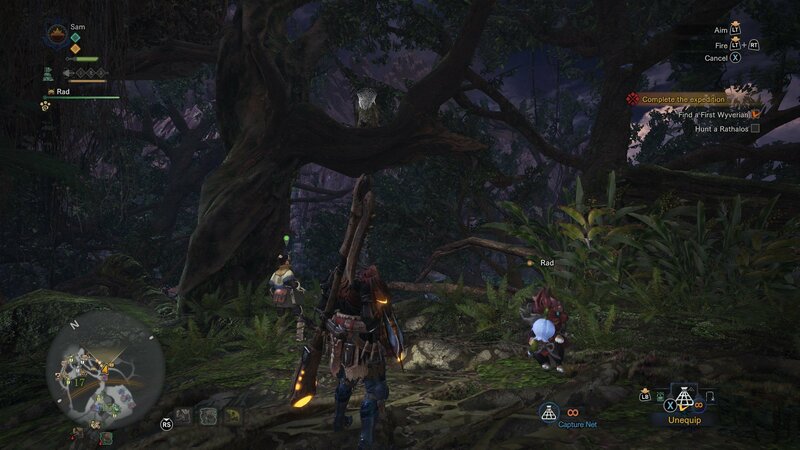 The First Wyverian will be sitting in the tree branches at the top of the Ancient Forest. Once the First Wyverian has been found, the next stage of the campaign will begin. What follows is a request to hunt two major monsters, the Rathalos, and the mighty Diablos. 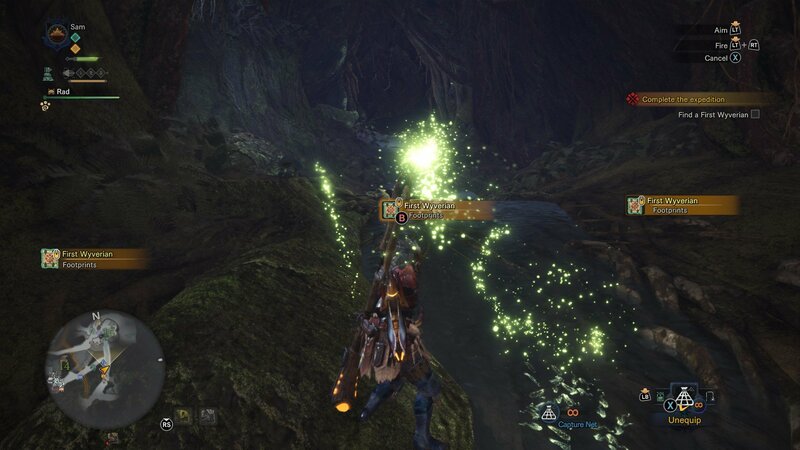 At this point in the campaign, players should take some time to finish up old Optional quests, expand the canteen, and unlock Mantles, because fighting the Rathalos and Diablos is no easy task. For more helpful hunting articles, head over to the Monster Hunter: World guide and walkthrough!